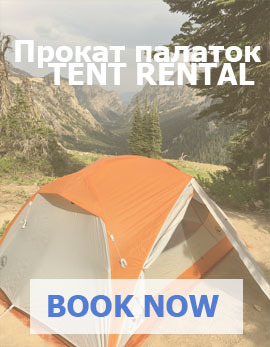 Penjikent (Tajik: Панҷакент; Persian: پنجکنت; Russian: Пенджикент), also spelled Panjikent or Panjekent, is a city in the Sughd province of Tajikistan on the Zeravshan river, with a population of 33,000 (2000 census). 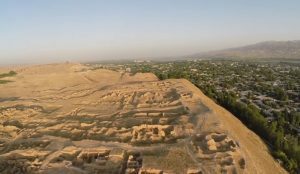 It was once an ancient town in Sogdiana. The ruins of the old town are on the outskirts of the modern city. 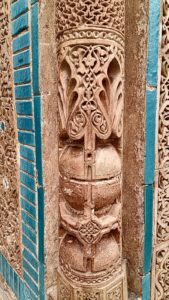 The ethnic and territorial name “Soghd/Soghdian” ur Sughd/Sughdian was mentioned in history as early as the Iranian Achaemenid Dynasty (6th century B.C.). The Achaemenids founded several city-states, as well as cities along the ancient Silk road and in the Zarafshan valley. The town grew in the 5th century A.D. and many professionals such as established businessmen and landowners made their livelihoods in Panjakent. In A.D. 722, Arabian forces besieged and annexed the town. The last ruler of the town Devashtich fled into upper Zarafshan but he was captured and sentenced to death. For around 50 years, ancient Panjakent was ruled by new administrators but towards the end of the 8th century the town on the upper terraces was depopulated and relocated. Many ancient ruins of the old city, particularly the city architecture and works of art remain today. Marshak ensured the protection and continued excavation of the Panjakent ruins. An important feature of the ruins is the frescoes which show details of dress and daily life. Mountains. It was a very favorable location since no caravan or person going from the mountains or returning to Samarkand could bypass Penjikent. In the outskirts of Penjikent one can find a “piece” of the past: a site of ancient settlement with the medieval citadel surrounded by dwelling and public buildings, some of which still have wall paintings. Nearby there is a necropolis. The clay and wooden figures found during excavations are kept in Rudaki History and Local Lore Museum. The place of excavation ha been turned into the memorial reserve. The mausoleum of the world-renowned poet Abu-Abdullo Rudaki, the ancestor of classical Tajik poetry was constructed in … 1958. This historical paradox is in the fact that this famous poet’s biography had not been studied in full, and consequently, the place of his burial was not determined. What known is that Rudaki who lived in the late 9th – early 10th centuries (during Samanids rule) had spent his last days in poverty and died in 941 in his native Pandzhrud village Pendzhikent. Some data testify that the poet died blind. It was due to the laborious efforts of the famous Tajik writer Sadriddin Ajni hat some important facts from Rudaki’s life have been exposed. Having thoroughly studied all available historical manuscripts he managed to identify the great poet’s burial place, and the well-known sculptor – anthropologist Michael Gerasimov restored his appearance on the basis of the found remains. In 1956, the year of Rudaki’s 1,100th birthday, the tomb, where the poet had been supposedly buried, located in Pjandzhrud kishlak was dug out. The burial contained the skeleton bones, which belonged to a man who had died at the age of around 85-87 years. The objects found in the grave were related to the time in which the poet had lived. There were some other evidence proving the fact that it WAS Rudaki’s grave. 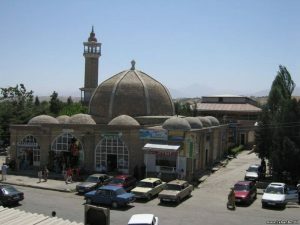 Located in a pituresque Mazori Sharif village among арчовый groves is the Mausoleum of Muhammad Bashoro who was an expert in khadises (the legends of deeds and pronouncements of Prophet Muhammad and his associates). Originally the building had no portal. It was added only in the 14th century. The portal was distinguished by a special beauty: it had graceful and noble proportions and was decorated with carved terracotta of unique beauty and complexity. 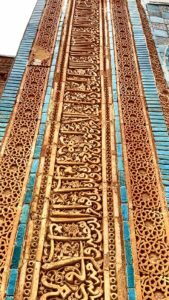 The portal is bicolor – pink patterns of terracotta are placed within double frame of glazed turquoise bricks – and has the exact date preserved among the inscriptions (743 year of Hidzhra which corresponds to the years of 1342-1343). The center of the building hosts a spacious domed hall with a number of vaulted rooms on its left and right. The main facade of the mausoleum faces a small mountain river where you can get using the only available road. 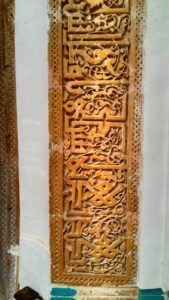 A clay mikhrab with graceful ornamental and calligraphic inscriptions towers in the center of the hall. The presence of mikhrab (a niche in a mosque wall indicating the direction to Kaaba – the main relic of Islam) testifies that originally the building might have not been a mausoleum but a mosque. This is not the only mystery of Muhammad Bashoro Mausoleum: another one is whether the remains of this notorious religious figure ARE buried there.